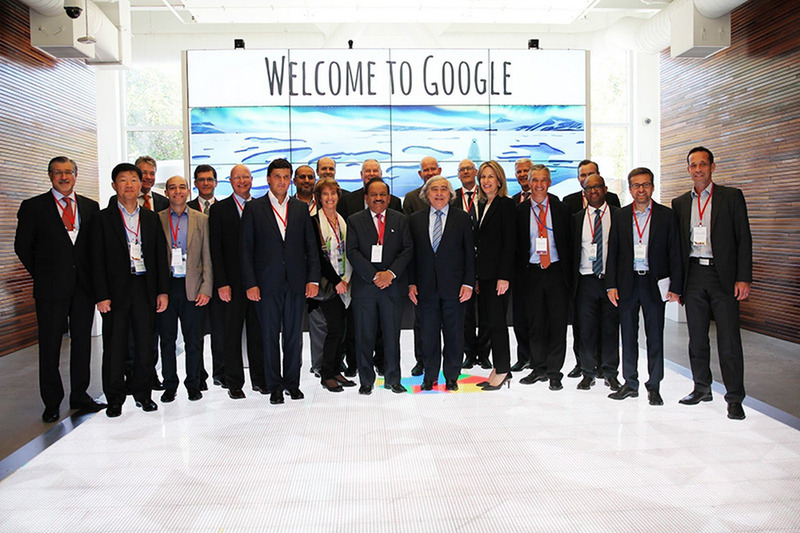 U.S. Energy Secretary Ernest Moniz who led the visit to Google was joined by ministers and officials from countries including the Netherlands, Denmark, Germany, Italy, Chile, India, Indonesia, and South Africa. U.S. Energy Secretary Ernest Moniz. who led the visit to Google, was joined by ministers and officials from countries like the Netherlands, Denmark, Germany, Italy, Chile, India, Indonesia, and South Africa.